Sai Dharam Tej's Chitralahari has taken a toll on the business of ChaySam's Majili at the US box office on Friday and Saturday and it may not allow its collection to cross $1 million mark in the country. 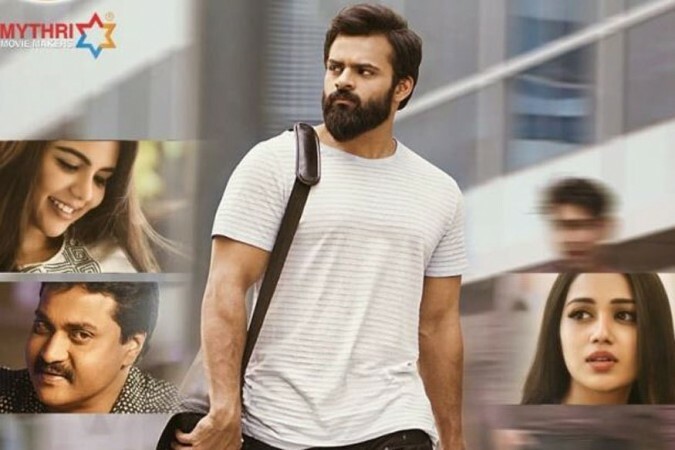 Sai Dharam Tej's Chitralahari has opened to good response and made collection at the US box office on Friday and Saturday. It has taken a toll on the business of ChaySam's Majili, which will not cross $1 million mark in the country. The Naga Chaitanya and Samantha Akkineni starrer, which hit the screens on April 4 opened to good response and made decent business on the following days. Majili collected $695,480 at the US box office in the first week. It is expected to cross $1 million mark in the country in the coming days. But trade experts are sceptic about it, as the film is clashing with Chitralahari in its second week. Despite clashing with Chitralahari, Majili remained strong and collected $24,317 at the US box office on its second Friday, taking its eight day total to $719,797. Idlebrain Jeevi‏ tweeted, "#Majili collects $24,317 from 76 locations on Friday (12 April) in USA. Total gross is $719,797. May not cross $1 Million. But is expected to cross @chay_akkineni USA solo highest gross (Premam - $829,097) "
As per early trends, Majili has shown decent growth and collected $32,264 at the US box office on its second Saturday, taking its nine-day total to $752,061, which will go up, when the final figures are revealed. Considering its current pace, it will not be able to cross $1 million mark. But it has become a hit venture, by fetching Rs 3.50 crore to its distributors, who shelled out Rs 3 crore on its rights. On the other hand, Chitralahari received fantastic opening and collected $62,051 at the US box office in its premiere shows on Thursday. The film became the biggest opener for Sai Dharam Taj in the country. Jeevi‏ tweeted, "#ChitraLahari collects $62,051 from 107 locations with per location average of $580 in USA on 11 April. Highest in career of SaiDharamTej. " Having a good word of mouth, Chitralahari fared well and collected $59,387 at the US box office on Friday. Jeevi‏ tweeted, "#Chitralahari is holding up well in USA as it collects almost equivalent to that of premieres on Friday. It collects $59,387 from 100 locations. Total gross is $121,746. Saturday collections are cruicial. USA breakeven is expected to be around $300k "
As per early updates, Chitralahari has shown some growth on Saturday and collected $69,125 at the US box office on its second day. Its total collection has reached $190,871. These numbers are likely to go up when the final figures are revealed by its distributors. PaniPuri‏ tweeted, "Indian Movies #USA Gross on Saturday (4/13/19) till 9:30PM PST #Chitralahari -$69,125 (93 Locs) (Day2) #Majili -$32,264(71 Locs)(Day-9) #MadhuraRaja -$15,060(42 Locs)(Day-2) #Lucifer -$11,500(19 Locs)(Day-17) #SaiDharamTej #NagaChaitanya #SamanthaAkkineni #MohanLal #Mammootty."